Materials Design is currently a hot topic, with funding opportunities from several agencies, new journals, and multiple research centers. However, design in the context of material systems has been interpreted quite differently by different members of this emerging community. On the one hand, some researchers have interpreted design from a bottom-up, data driven perspective -- that is: extract patterns from data sets ranging from experimental material characterizations to ab-initio simulations, and infer from these patterns new material systems with interesting properties. On the other hand, one can think of materials design from a top-down perspective -- that is: searching efficiently, systematically, and in a directed fashion for new material systems with desired properties. Ideally, both design perspectives would be integrated so that one can efficiently identify classes of material systems (from a top-down perspective) where further detailed analysis and experimentation (from a bottom-up perspective) is likely to lead to materials with desired properties. In this presentation, I will share my experiences gained while serving as program director for the NSF DEMS program (Design of Engineering Material Systems). I will clearly define what design means in the DEMS context, and will provide an overview of challenges and opportunities towards advancing design methods and tools for materials design. The goal is to stimulate discussions and explore collaborations so that Georgia Tech can be (even more) successful in leading the community in this exciting research area. Dr. Chris Paredis is Professor of Mechanical Engineering in the G.W. Woodruff School of Mechanical Engineering, and in the H.M. Stewart School of Industrial and Systems Engineering at Georgia Tech, Atlanta, USA. 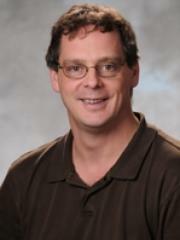 He is a Woodruff Faculty Fellow and Director of the Model-Based System Engineering Center. He holds graduate degrees in Mechanical Engineering from the Catholic University of Leuven (Belgium) and in Electrical and Computer Engineering from Carnegie Mellon University. Recently, he served as Program Director at the National Science Foundation, where he was responsible for programs related to systems engineering and design: Engineering and Systems Design (ESD), Systems Science (SYS), and Design of Engineering Material Systems (DEMS). Dr. Paredis' research focuses on Model-Based Systems Engineering, combining aspects of decision theory, information technology, simulation, and systems theory to support the design of complex engineered systems. He is past Chair of the ASME Computers and Information in Engineering division, and has served as Conference Chair for the 2013 Conference on Systems Engineering Research (CSER'13) and the 2007 Computers and Information in Engineering Conference (CIE'07). Dr. Paredis has served as Associate Editor for the SAE Journal of Commercial Vehicles and the ASME Journal of Mechanical Design. He currently serves as co-Editor of the ASME book series, Advances in Computers and Information in Engineering Research. He received the 2007 CETL/BP Junior Faculty Teaching excellence Award, the 2007 SAE Ralph R. Teetor Educational Award, and the 2011 ASME CIE Excellence in Research Award.